Prime location for your commercial property! 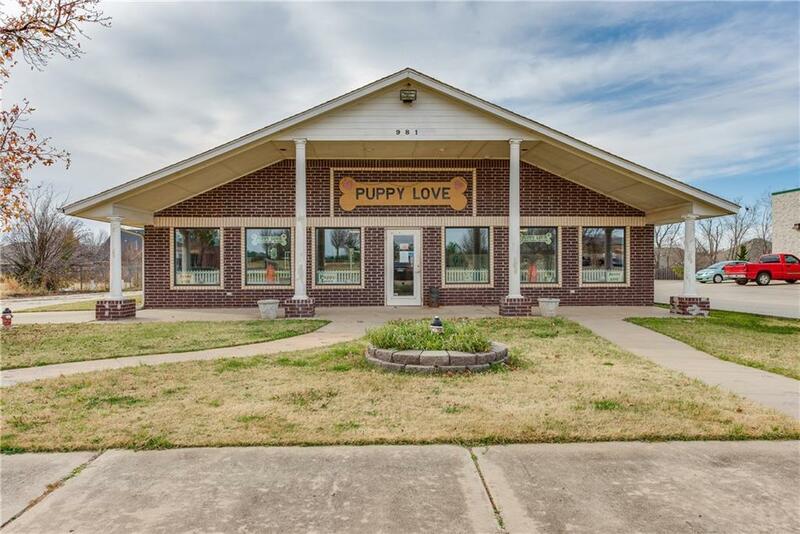 Currently for sale are a 2,552 sq foot building, currently being used as a dog grooming business. Building is divided into 3 parts, retail, work space, and the back is currently kennels and baths. There is an office, snack room and storage included in the middle space. The building in on .63 acres, and has a large fenced yard behind that building that could easily be converted for more parking, or loading docks or potential building site. This lot sees over 30,000 cars each day. There is a vacant lot, .88 acres MOL next door for sale as well.